According to study, “A2P SMS Market, Services (Transactional [CRM, Interactive], Promotional [Marketing, Inquiry, Pushed content]), Verticals (BFSI, Retail, Telecom, Transport, Entertainment, Utilities), Regions – Global Market Drivers, Opportunities, Trends, and Forecasts, 2016-2022” some of the major companies that are currently working in the A2P SMS market are Nexmo Inc., ClXNetwroks AB., Tanla Solutions Ltd., Verizon Communications Inc., TATA Communications Limited, Trillian Group, txtNation Ltd, 3Cinteractive, SITO Mobile, Fortytwo Telecom AB., Angkor Data Communication Group Co., Ltd., Syniverse Technologies, Angkor Data Communication Group Co., Genesys Telecommunications, Accrete, Soprano, Clearsky, Dialogue Communications Ltd, Gemalto NV, Open Market Inc., CLX Networks AB, Dimoco Europe Gmbh, AT&T Inc., mBlox ltd.,AMD telecom S.A., GinSMS Inc., Beepsend, Symsoft AB, Vodafone Group Plc,Infobip Ltd., Route Mobile Limited,Silverstreet BV,Vibes Media, SAP SE, DIMOCO Messaging GmBH, Ogangi Corporation, International Group, Inc., Orange Business Services, Cybercomm, Silverstreet BV, Anam Technologies, Tyntec Ltd, Routesms Solutions Limited, Voxox Inc., Twilio Inc. These vendors are assigning extra funds for in-mobile centric events as evaluated to television or web-based promotional marketing activities. A2P (Application to Person) messaging platform is also acknowledged as enterprise or professional SMS. It involves sending messages to the mobile users using an application. It is used for communicating between businesses and their customers for authentication or for sending alerts for instance banking notifications &alerts, booking confirmations and so on. The A2P SMS platform help the small & medium-sized enterprises and larger enterprises to digitally develop their brand image by sending notifications, alerts, advertisements to customers and other promotional activities and consequently augment sales revenue. These are preferred over other content delivery mediums as they offer multiple advantages. An SMS can be spread to any network worldwide with a control at one end. SMSs are the only easiest and best form of mobile communication as most of the users are familiar with it. Based on the services, the A2P SMS market is segmented into promotional services and transactional services. Promotional services are sub-segmented into pushed content services, promotional campaigns and inquiry & search services. Transactional services are sub-segmented into interactive services and Customer Relationship Management(CRM) services. Interactive services are defined by Two Factor Authentication (2FA), Unstructured Supplementary Service Data (USSD) and One Time Password (OTP). Based on the verticals, the market is segmented into retail, BFSI, education, government, media & entertainment, transport, IT & telecom, utilities & logistics, healthcare and others. Based on the preferred business model, the market is segmented into technology roadmap, communication platform as a service (CPaas) and grey route traffic. The market of A2P is mainly driven by increase in the mobile subscriber base, followed by no use of internet and being a cost effective communication channel. Some restraint factors include lack of infrastructure, lack of effective security toolsand government regulatory. In addition, some of the new opportunities include leverage of smart technology and enterprise business strategy. 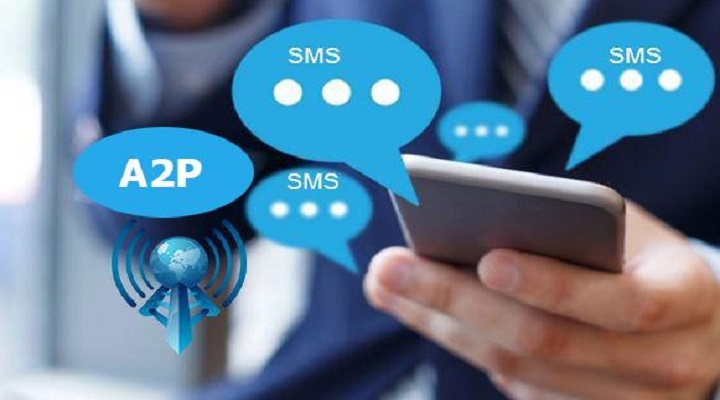 The global A2P messaging market is expected to drive A2P messaging owing to augment in number of mobile users, growth of A2P messaging services in mobile payment, mobile banking, and mobile health sector. During 2016-2022, the global A2P SMS market is expectedto grow at a CAGR of 5.7% owing to increase in population & mobile phone subscriber base.